For the past six months I have had access to full membership at the newly refurbished Robinson Pools and Fitness, in Bedford. I have used the pools and gym there in the past as a guest, but I was never really enthused with the facilities - they were tired and in major need of updating. So when I heard about the multi-million pound face-lift the leisure centre had received I was eager to try it out for myself. 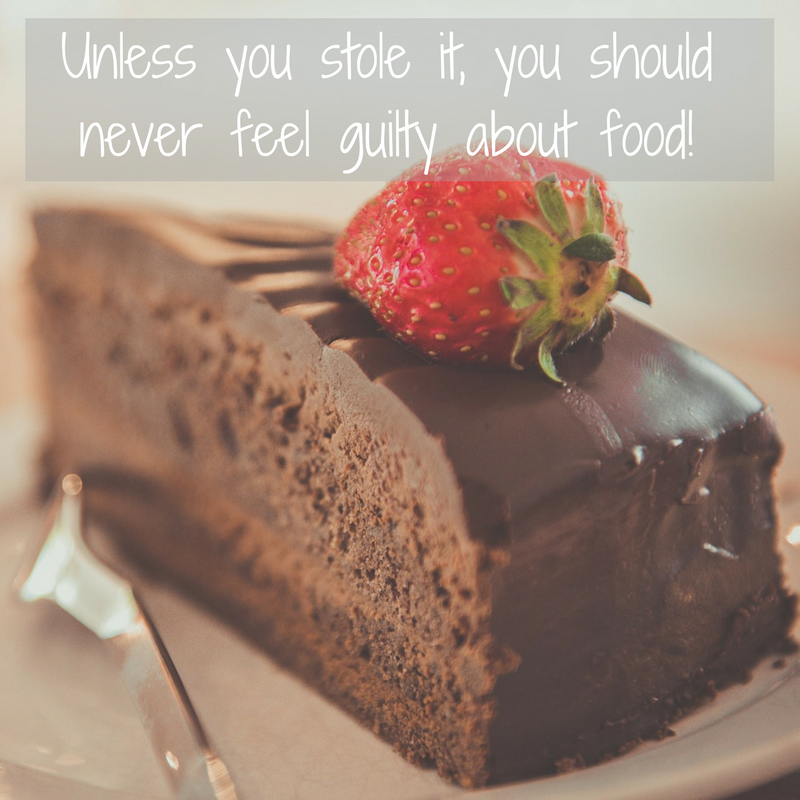 Those of you who read my blog frequently will know a little of my history when it comes to exercise, diet, weight and health. 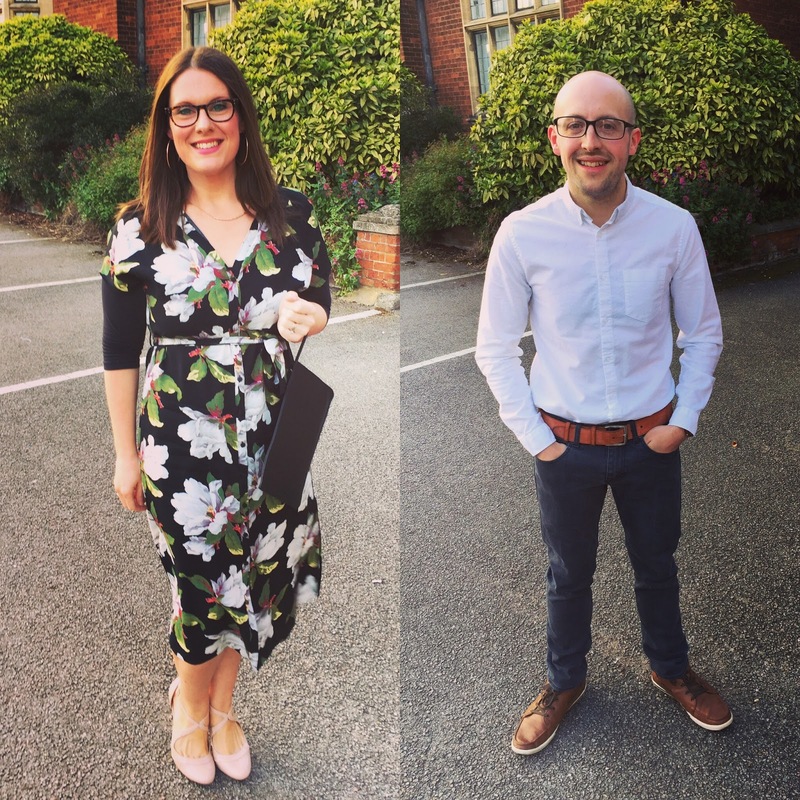 In short, back in 2013 after the birth of my son Bert I was at my heaviest (17st 2lb) and miserable, I decided enough was enough and embarked on a complete lifestyle overhaul - changing my diet, exercise and working on my difficult relationship with food. Over the course of 2 years I shed 6 stone 8lbs and went from a UK size 20 to a size 12. 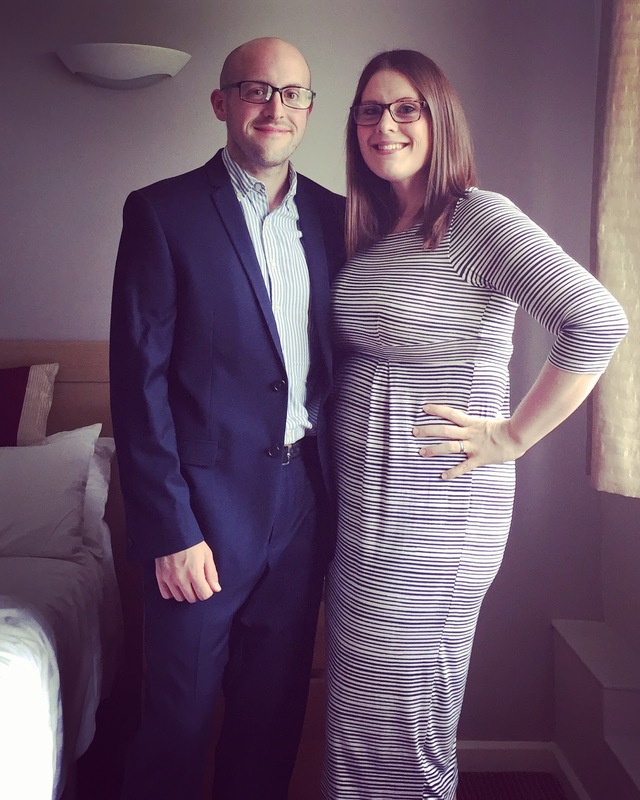 Soon after reaching my goal weight I fell pregnant with my daughter Connie and although I did try harder this time round not to balloon as much as I did with my son during pregnancy, I did pile on the pounds once again, and post-Connie's arrival I found myself at 13st 8.6lbs and wearing a size 14-16. Mrs Bishop at 13 stone 8.6 lbs/Size 14 post second baby. Determined once again to make positive changes and get back down to my goal weight, I decided I needed to up-my-game when it came to exercise, and so when the offer of a gym membership came along, I jumped at the chance! Although Robinson is not my nearest gym (it is 45 minute walk for me, as I don't drive) this didn't phase me - I love to walk and figured that the walk either way would not only be an amazing addition to my workout, but would also provide a warm up and cool down for me, as well as some much-needed me time to just be in my own headspace without the kiddies in tow. I'm proud of myself that six months on I have smashed my goal which was to make regular gym visits an integral part to my week for the first time ever. Initially, I had set myself the target of going just once a week, but I'm pleased to report I now go to the gym a minimum of twice a week, every single week: for an hour on one evening and half an hour on the other - plus all the walking either way and sometimes an additional class or session if I can fit it in at the weekend. Attending the gym this regularly has definitely become second nature to me now, and thankfully instead of making excuses and finding ways to get out of going, I genuinely look forward to it every week. This is not only testament to the shift in my mindset towards the gym/exercise, but also to the brilliant facilities at my disposal at Robinson. Robinson boasts a swimming pool, learning pool and diving pool, all the latest gym & fitness equipment in their gym, an extensive programme of group exercise classes, indoor cycling studio, INTENCITY HIIT training studio, café, high-spec changing rooms, and creche! 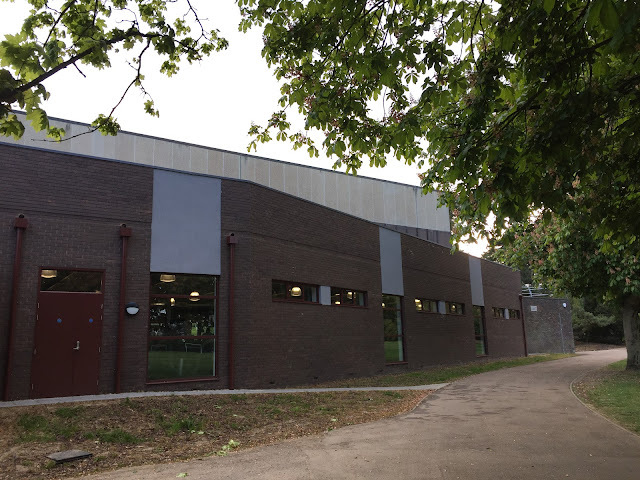 Included in your membership is also access to the John Bunyan Sports & Fitness Centre (on a different site) which also boasts and impressive gym, studios, classes, cafe and brand new soft play centre. 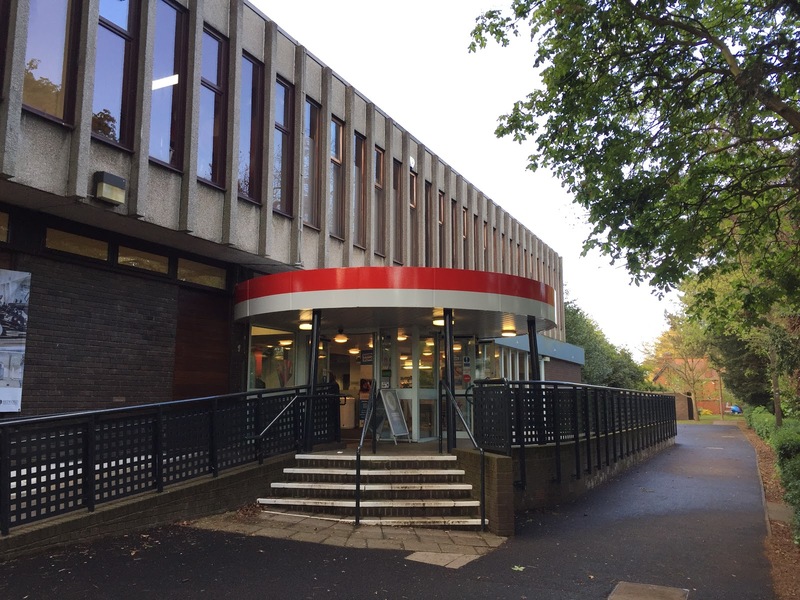 Unlimited access for one adult to over 50 classes per week, the Gym, the Swimming pools, for 7 days per week/anytime, advance bookings for classes, 2 hours per week of court booking, a no strings contract, & multi centre usage (John Bunyan). Although I have used the pools on a couple of occasions over the six months I've been a member at Robinson, honestly, swimming just isn't for me...I've never enjoyed it, and although I can swim, my form isn't great and I find it so boring! Instead, I've been using my membership to access the brand new, state-of-the-art gym facilities and I've been uber-impressed with what Robinson has to offer. First and foremost the changing rooms, locker area, showers and the gym itself is really clean, and that's a vital point for me, there's no compromise for me when it comes to cleanliness, and it was one of the reasons I have avoided Robinson in the past, however, since the re-fit I cannot fault the facilities, they are spotless. 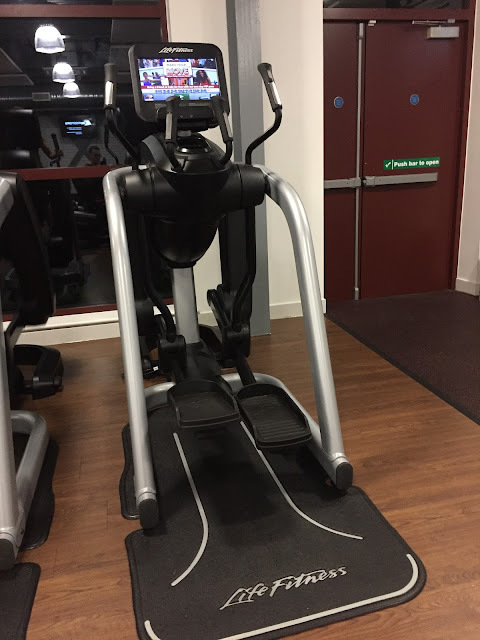 Secondly, no matter what time I have visited Robinson to use the gym I have always been able to use any of the equipment and I've never had to queue for a machine. 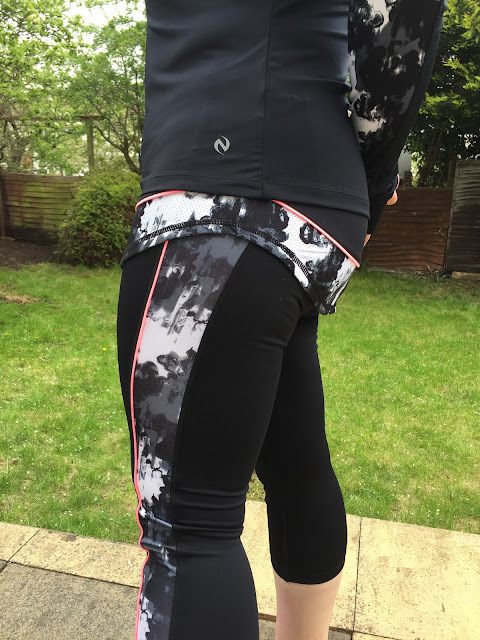 This is a major plus for me; as a busy mum with limited time to spend there, it is vital to me that I can access what I need to, when I need to, without delay - and Robinson have come up trumps on that front. I've been majorly impressed with the technological side of the equipment available to use - as a social media manager by day, I'm quite into my tech stuff, apps and devices, so I was thrilled to find out that at the Fusion gym at Robinson you can use the LF Connect (Life Fitness) phone app to store all of your workouts, set yourself targets, store your details and track your progress. 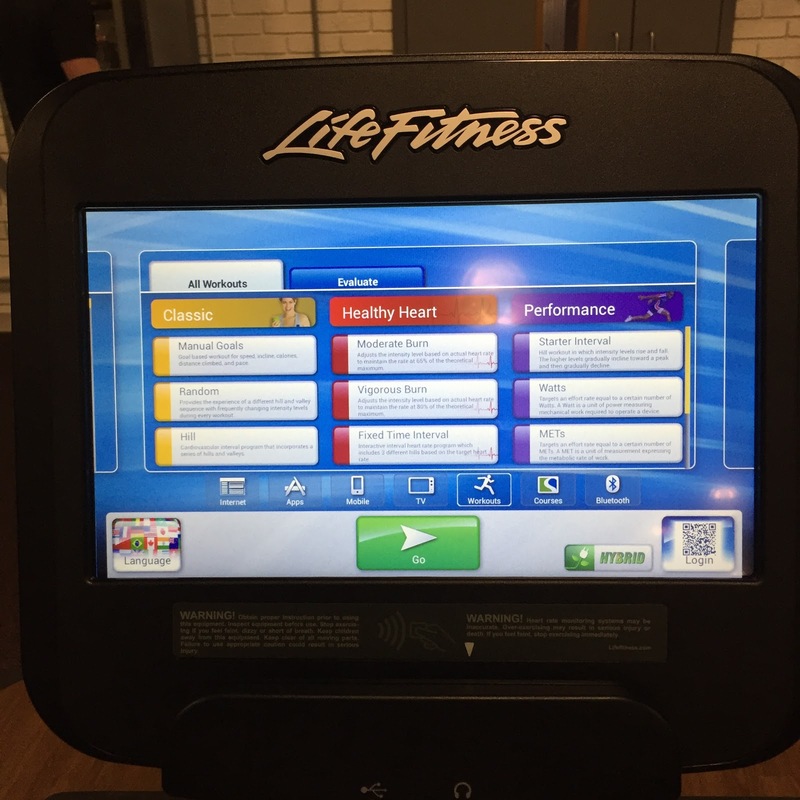 As you sit down at each machine in the gym you scan your phone onto the machine using the QR code, and it logs you in & you can then select which workout type/length/level you'd like to do. At the end of your workout it stores all the info on your phone, and I can now access 6 months worth of my workout data! Amazing! As well as the impressive fitness tracking, each machine comes complete with a large personal screen where you can access Freeview TV, radio, games, the internet or in-built workout simulations for your pleasure while you workout. There's room to store your phone and water bottle on each machine, and an ear phone port too. 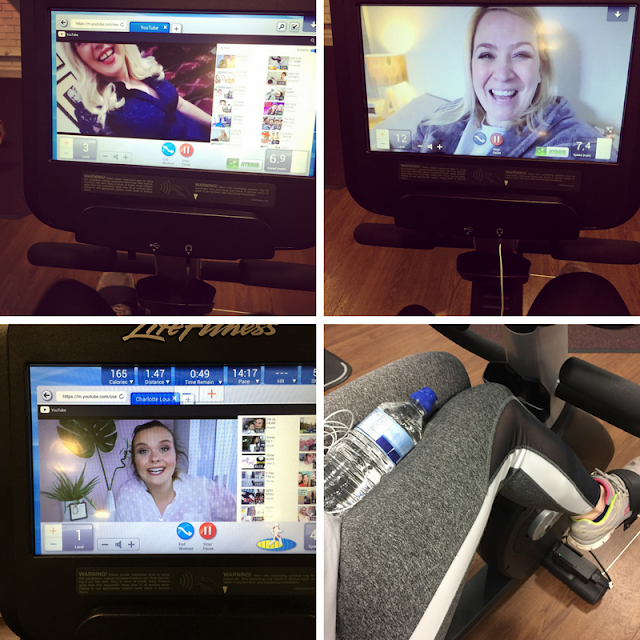 These little extras are the absolute number one selling points for me...because the gym is as much about me-time, escapism and improving my mental health as well as my physical health, it has been so good for me to be able to indulge in some of my favourite TV or to catch up on watching my favourite vloggers while I workout. Not only am I killing two birds with one stone - working out and relaxing all at the same time, I'm also taking my mind off of how hard I'm working, which undoubtedly makes my workouts easier and means I have put in more gym hours than I ever thought I would. Catching up with my fave vloggers while I workout! 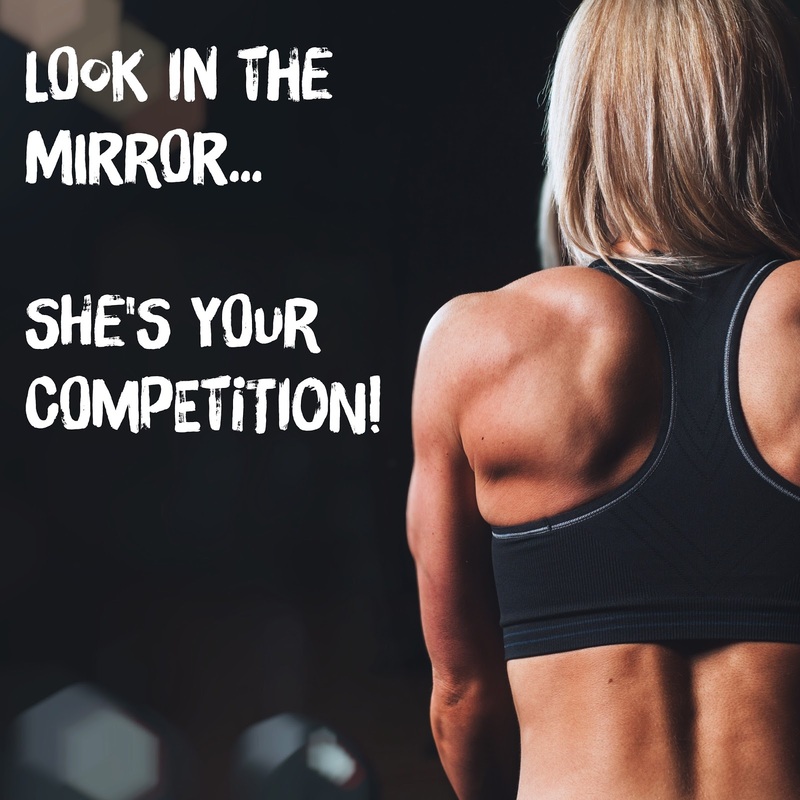 Finally, and very importantly, all of the other gym users I've encountered at Robinson have always been polite, friendly, encouraging and supportive towards me: I've never once felt self-conscious or worried whilst there. I'd say there's a pretty equal split between men and women, and a whole range of ages accessing Robinson, that you'll never feel like the odd one out. You see every shape, size and body type using the gym, and I have never felt judged by anyone. Equally, the staff have always been friendly and on-hand if I need help with a machine, or some workout advice. Once a week I see a personal trainer at a different, more local to me gym. I'd already been seeing my trainer Matt for a while before embarking on my Robinson membership and have kept up these weekly workouts as well as my Robinson visits. Matt puts me through my paces for half an hour per week and works with me on building muscle, strength and tone, as well as some cardio for fat-burning. 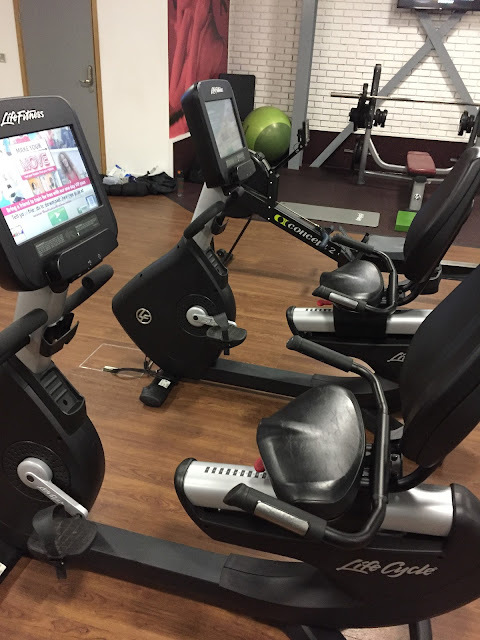 This means that my weekly sessions at Robinson are more focussed on fat/calorie burning - so I tend to stick to using a combination of the bike (with lumbar support seat), cross trainer, treadmill, rowing machine and stepper during my weekly hours workout at Fusion. The quality of the equipment at Robinson's Fusion gym is amazing - everything is brand new, and so robust. I've used gym equipment in the past that feels flimsy, and like it might break if I use it too hard. No fear with the equipment at Robinson, it is sturdy beyond belief and I've never had any concerns when working out there. 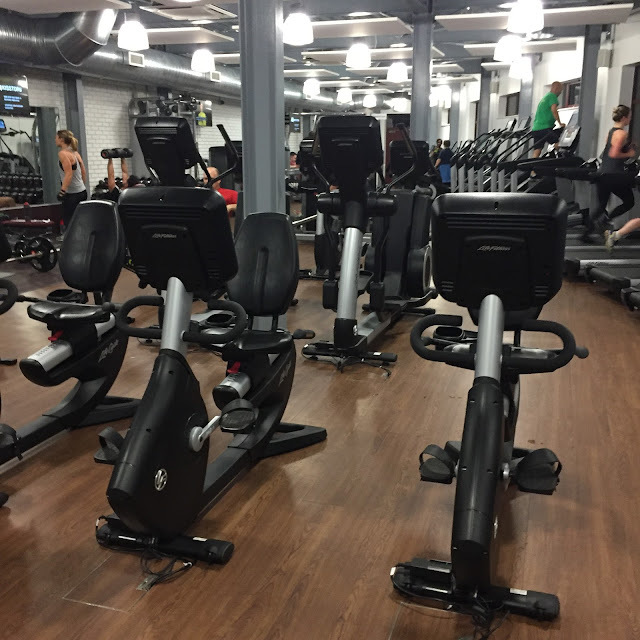 I have also attended 'Legs, Bums and Tums' and 'Indoor Cycling' classes at their John Bunyan Sports Centre location, more on those classes to follow in a separate review. 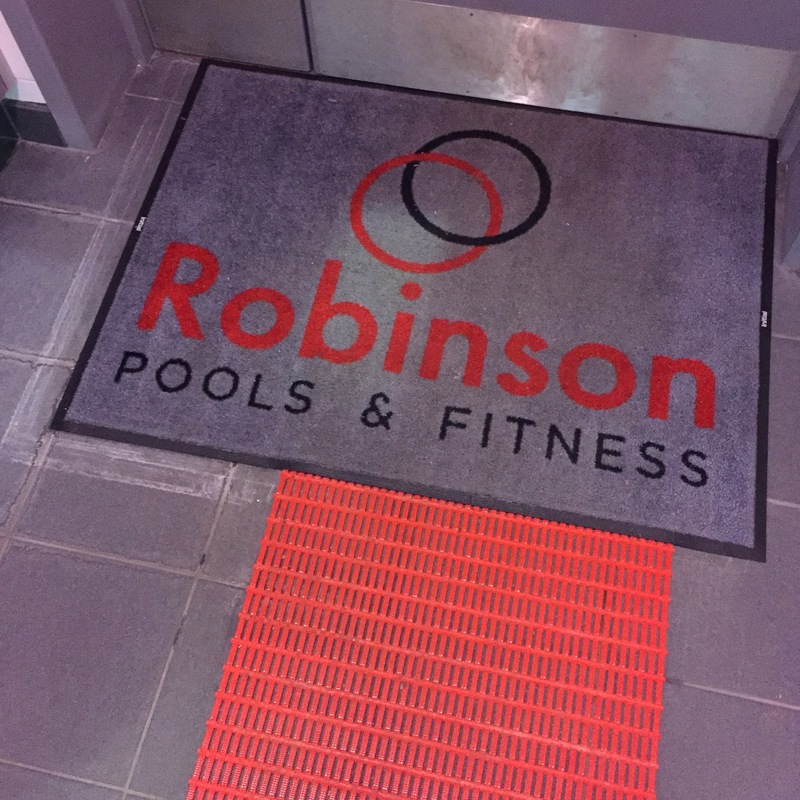 When I started using the facilities at Robinson Pools & Fitness I weighed in at 13st 8.6lbs, I was wearing a size 14-16 and felt weak, bloated and was suffering hugely with back pain due to my degenerative disc disease. I did no 'formal' exercise/workouts apart from walking. Six months on and I now workout in the gym 2+ times per week. I currently weigh 12st 5.2lbs and am back into my size 12 wardrobe. I feel stronger, leaner and more toned. I can see definition where I never had it before, and perhaps most importantly, I rarely suffer from back pain anymore! It seems that building my core strength and muscle during my workouts has helped me almost eliminate my symptoms. I also feel in-control and much happier in mind - the buzz I get after working out is so powerful and is now something I'm rather addicted to! A svelter Mrs B at 12st 5.2 lbs & a size 12, 6 months into gym membership. More shape & tone thanks to Robinson's Fusion Gym, Bedford. Although, compared to my previous weight loss attempts, the last six months has been pretty slow (I've lost 1 stone 3.4 lbs in six months), the change in my strength, shape and tone has been much more dramatic - and we all know that muscle weighs more than fat, so without a doubt I have "bulked up" in places and lost fat in others, creating a new silhouette but obviously slowing down the actual weight loss on the scales. I'm much less focussed on weight and weighing myself these days - as long as I'm working out regularly and being mostly moderate with my diet, then I'm happy. Moving slowly in the right direction is absolutely fine with me...I'm in no rush, it isn't a competition - I'm doing this for me and me only. For any Bedford locals considering a gym membership, or looking for classes to take part in, then I whole-heartedly recommend Robinson Pools and Fitness. Despite it being such a long walk for me, I've loved going there enough to keep up my regular weekly gym-visits for six months - even through the bleakest winter weather...if that isn't testament to a great gym then I don't know what is?! This website basically beautiful points and things right.Cheers for sharing with us your wonderful blog.You absolutely have wonderful stories. Change your life for the better by establishing a regular yoga practice. A regular yoga practice fundamentally affects how we see the world. Start it today with the best yoga accessories.